Hunting seasons are coming to a close for different areas. Many may be wondering what’s the best way to make use of their hunting blind during the off season. Whether it be using your hunting blind for target practice, scouting or something else, there’s numerous ways the make the most of it. We have compiled a list of ways to make use of your hunting blind during the off season. Bow season is upon us! As bow hunters, we are continually searching for ways to outsmart the game we are hunting. Over the years, many methods have been developed to attain success. One way to outsmart the intelligent creatures you are pursuing is to use a customized bow hunting blind. Customizing the best Bow Hunting Blind for your hunting trip will accommodate your needs. As hunters, we are continually searching for ways to outsmart the game we are hunting. Over the years, many methods have been developed to attain success. One way to outsmart the intelligent creatures you are pursuing is to use a customized hunting blind. Customizing the best rifle hunting blind for your hunting trip will accommodate your needs. At Boss Game Systems, we have many types of custom hunting blinds to choose from. In addition, we have numerous accessories you can get with any kind of blind. Despite many great features and qualities that ¾ treated plywood possesses, there are some concerns regarding the structural integrity and lifespan of it. While it almost impossible to accurately ascertain the lifespan of any wood, it is estimated that plywood lasts an average of 10 years. Numerous factors determine how long the panels of ¾ treated plywood are going to remain in their true form and would not deteriorate. Boss Games Systems doesn’t use ¾ treated plywood in our products because of the following factors which can affect the deterioration rate. There is no perfect Deer Blind. There, I said it…now let that sink in. No Hunting Blind can cover every human desire, no matter how realistic or unrealistic. Light weight vs. heavy, mobility vs. permanent, on a tower vs. trailer, large vs. small, camo vs. green, so on and so forth. Each terrain, hunting style, operation, state, region and customer propose a different set of needs. Every scenario listed (and many more I didn’t) have a tradeoff. Hunting from a blind is as personal as the deer or species you chase. Many arguments have ensued over a campfire or beverage over what Antler frame people prefer: Wide & Heavy (those are easily agreed upon), Clean Typical vs. The Trash Leiden Giant. Hunting Blinds are no different, but do carry one added complication: Affordability. 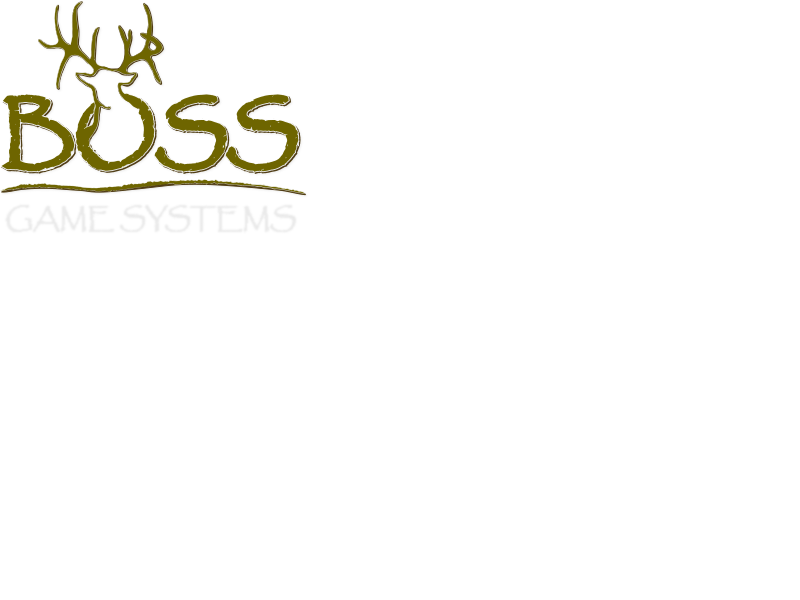 We will discuss the benefits of customized hunting blinds from Boss Game Systems.